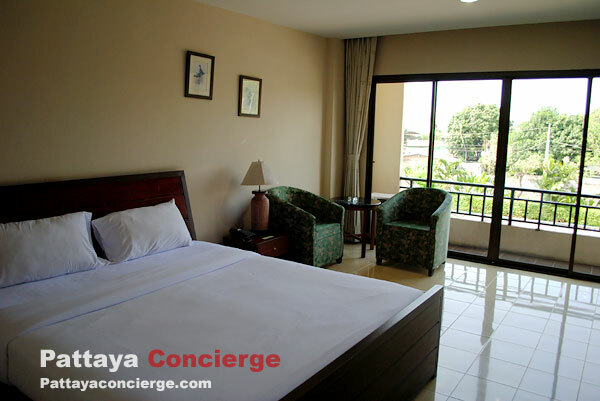 Baan Khun Poh Pattaya is a serviced apartment in Pattaya that offers rooms with in expensive price, clean room, large space, and quiet. 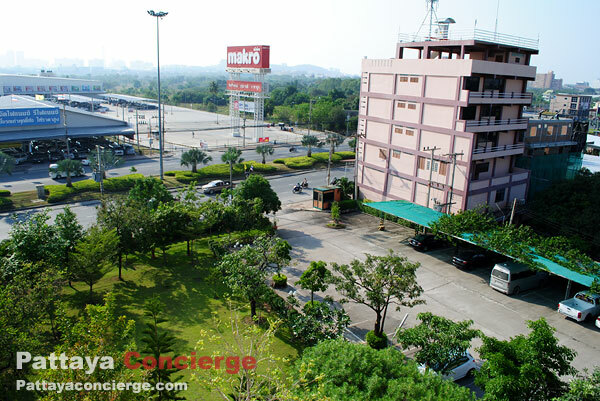 Though, it seems to suit those who have private car the most since it is located next to Sukhumvit Road (1 kilometers from South Pattaya Tesco Lotus). 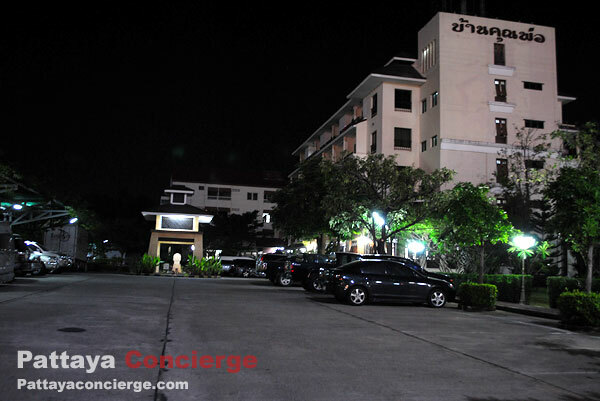 It is not difficult to drive to the city or to Sattahip. 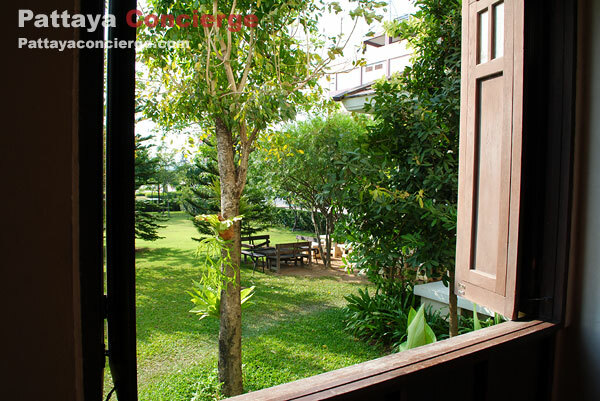 Baan Khun Poh is an apartment offering either daily stay or monthly stay in the same building, but about 30 rooms are set for daily room type. 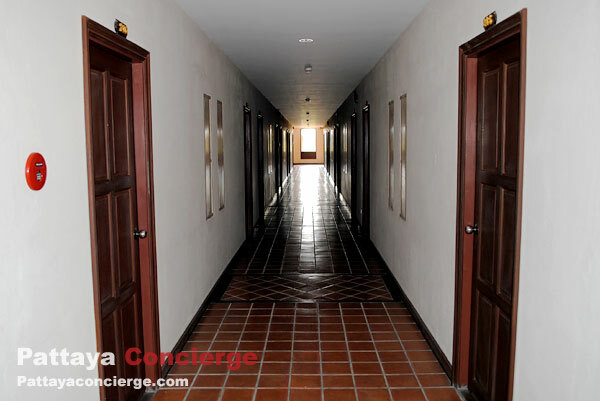 On the ground floor, there is the lobby where guests can check-in and check-out. 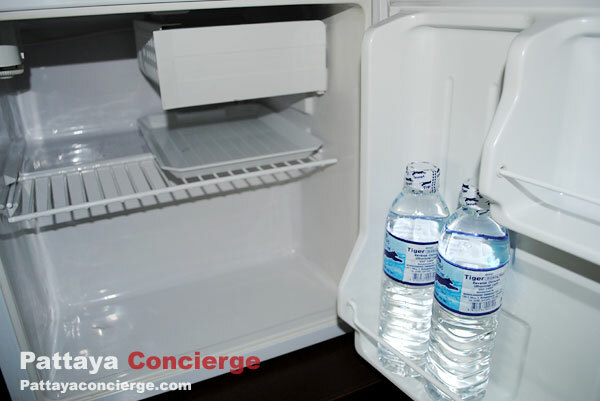 Next to the counter of the lobby, snacks and some types of drinks are prepared for selling towards guests. 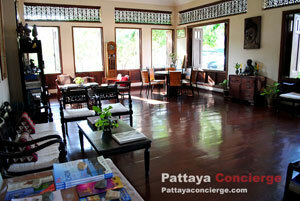 There is also a living room in ancient Thai style, where guests can come to read books or relaxing. In front of the building is car park and garden. 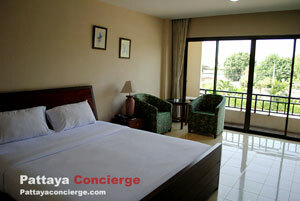 The room here is not decorated in modern styles like many recent hotels established. Its style is a little old fashion, in fact. However, the room is large, clean and quiet. The facilities offered are also adequate. There are a TV with many cable channels, two complementary bottles of water in a small fridge, Free Internet WiFi with good signal, two large towels, bathing cap, soap and shampoo. 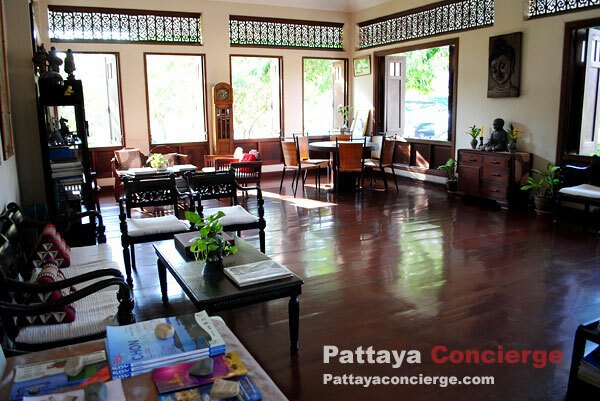 Apparently, there are two types of daily room in Baan Khun Poh – standard and deluxe rooms. 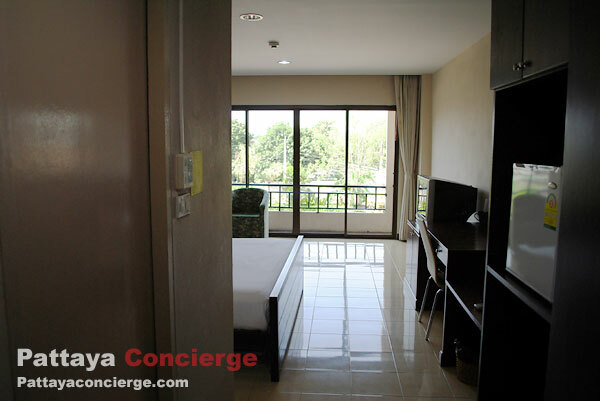 The difference between this two types is just that the deluxe room has two balconies because they are at the corner of the building, The furniture are the same, though. 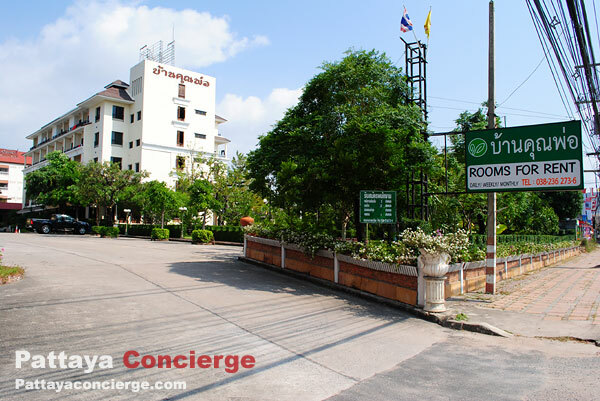 The location of Baan Khun Poh is next to Sukhumvit Road, opposite to Makro Pattaya (approximately 1 Kilometers from Outlet Mall Pattaya). 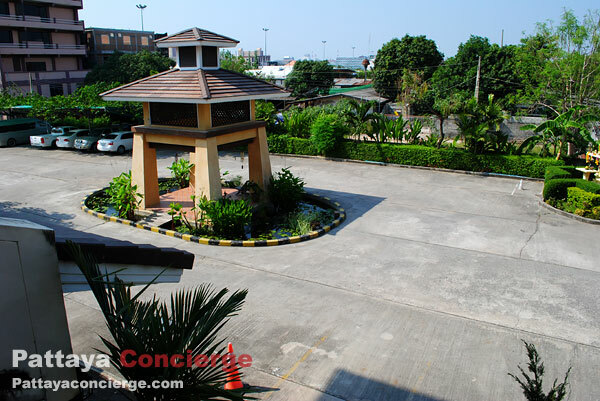 Those who do not have a private car can visit this place by white or light-blue Songthaew from Sukhumvit Road (to the way to Sattahip). In the case of Negative points here, there are not any famous convenient stores nearby – Seven Eleven, Family Mart, 108 Shop. There is also no a flyover to across Sukhumvit road nearby, so it can be a little unsafe for getting to the other side of the street. There is not many choices for having a meal – only a restaurant near the apartment. 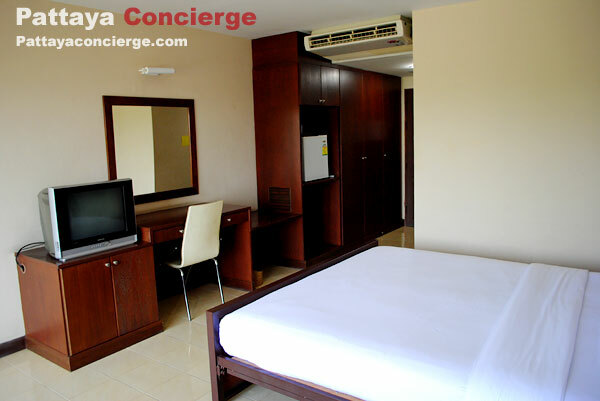 - Reasons: Inexpensive price, clean room with full facilities, but lack of external facilities as 24-hours convenient store, restaurants nearby. It seems to suit those who have private car because they can go find something to eat easily. - Additional Info: From the apartment, guest can take a white Songthaew to Pattaya Floating Market or Mimosa Pattaya.